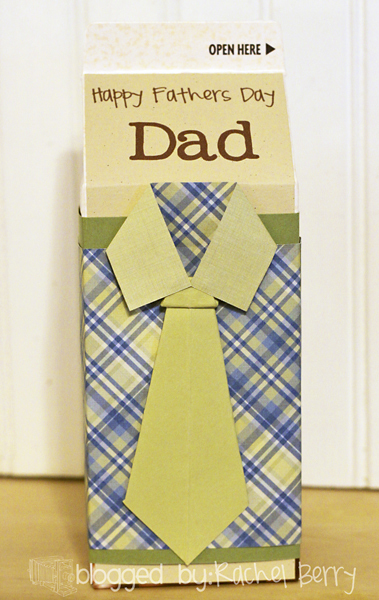 The Whopper box idea I got from this Blog and the Shirt & Tie Tutorial from this Blog. I just combined the 2 together. *Green Cardstock: 5 1/2 x 12 you may have to add a little sliver in the back I did but that’s no biggie. *Plaid Paper: 4 1/2 x 8 1/4 I just butted up the edges of the plaid paper that wraps around the box to the shirt paper. 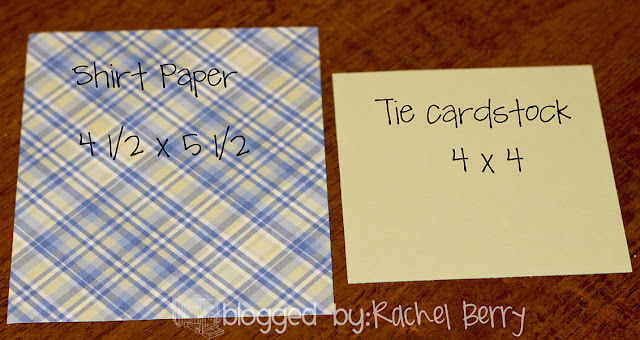 Paper Shirt & Tie Video Tutorial found here. Have a Super Fabulous Father’s Day Weekend! SO cute! We're making Bakerella's cupcake burger and fries but adding cupcake icecream cones and I found mini coke glasses at the $ store today. Should be a cute little old fashioned burger basket dessert after the AAA Rainiers baseball game. Fingers crossed it doesn't rain! So So Cute!!! I cannot believe you had that perfect plaid paper for the shirt. Adorable! Hey Rachel! Thanks for stopping by my blog! Yours its great! Can't wait to visit again soon! You're awesome! I guess it would help to have a dad to have to give one to. I took mine out for father's day on thursday. Doing NOTHING tomorrow since the dork i live with did NOTHING for me for mother's day and i do mean nothing. It was 4pm before anyone said happy mother's day to me. Glad it comes first b/c i'm following suit! 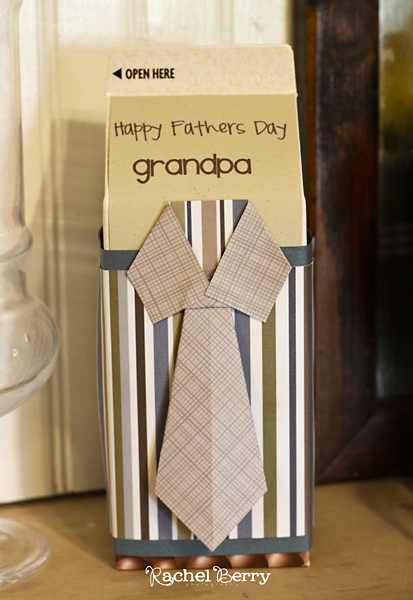 also a great gift idea for dads out there this coming Fathers day. Oh my stink! You are so creative!